So I took a day off Tuesday. Like, a full day off. Even used some vacation time. Can’t tell you the last time I did that. And why did I (sort of) not work? No real reason other than to ensure I don’t waste a full 10 days of vacation this year. That’s right, my work has a use-it-or-lose it policy on vacation, and I chose to lose on an annual basis even though I have a wife and kids and friends and hobbies. OK, I don’t really have that many friends and I don’t have any hobbies – but that’s related to my compulsive work habits. At least, that’s what I keep telling myself. This begs a question: What the hell is wrong with me? Wait. Don’t answer that. Let’s narrow it down, make it multiple choice. On Saturday, Wisconsin and Michigan State will face off for the Stagg Trophy and the Big Ten Championship. 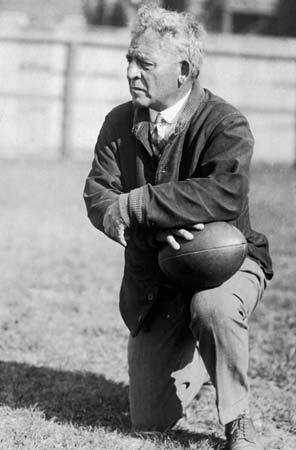 The Stagg trophy is named after Amos Alonzo Stagg, who won seven conference titles and two national championships at the only school that has ever left the Big Ten: The University of Chicago. In 1939 University of Chicago president Robert Maynard Hutchins disbanded the football team after a disastrous season. In 1946, Hutchins ended the university’s sponsorship of athletics. We're pretty sure Amos Alonzo Stagg is not the forefather of the stag party. An unconventional man in other areas as well (he radically altered the undergraduate curriculum, transforming it into a two-year Socratic exploration of “Great Books” which he described as “Teacher-proof”), Hutchins had a particular disdain for football. He once observed that “in many colleges, it is possible for a boy to win 12 letters without learning how to write one.” This some years before Dexter Manley asserted that he was functionally illiterate while attending Oklahoma State. As far back as 1939, it was evident to Hutchins that success at the highest levels was incompatible with the often stated rationalizations in support of college athletics. Unquestionably, there are many students that benefit from participating in team and individual sports at the varsity level. However, you’ve probably never heard of most of them. John Dalberg-Acton famously observed that “power tends to corrupt, and absolute power corrupts absolutely.” The machine that produces star players and coaches, that fills gigantic stadiums and generates billions of dollars in revenue is one that corrupts. It rewards cheating more often than not (the two teams most likely to play for the BCS championship as well as the 2011 Final Four winner are all under NCAA probation), it fosters greed (Ron Zook made over $450k per win as head coach of Illinois from 2009 to 2001, and finished over .500 once), it cultivates arrogance (see Jim Tressel and Joe Paterno’s dismissal of attempts by university authorities to discipline their players), and it attracts all manner of unsavory characters (insert photo of Donna Shalala hungrily eyeing a check from Nevin Shapiro). Lord Acton also observed that “there is not a more perilous or immoral habit of mind than the sanctifying of success.” It’s worth keeping in mind as college football prepares to crown any number of conference and bowl champions. These coaches may excel at winning, these players may be good at their chosen field, but that is all that can be said of them. It is a mistake to characterize a good coach as a ‘molder of men’ based on his winning percentage. It is a mistake to assert that a successful coach is good at anything other than winning and retaining his job. Barely a week after Joe Paterno’s reputation dissolved amid reports that he covered up an allegation of sexual assault, and even as Jim Boeheim was stoutly defending Bernie Fine against similar allegations, the sporting world stopped and paid homage to a successful basketball coach in terms that stretched far beyond his ability to win a record number of basketball games. Here was yet another example of a coach being heralded as a great man based solely on his ability to win games on an apparently honest basis. The University of Chicago eventually reinstated football along with 16 other sports that compete in NCAA’s Division III; administrators after Hutchins recognized the value of a modest athletic program. Those interested in supporting universities that ‘do it right’ would do well to look outside the BCS schools, the big name/big budget schools, and ‘shop local’ as it were. And if you must support a BCS program, take an interest in the ‘non-revenue’ sports. Odds are those participants fall closer to the ideal of a ‘student athlete’ than the one-and-dones on your basketball team, or the kids who got arrested on your football team. About the author: Jensen is a Sioux Falls-based computer guru, who spends an admirable amount of time thinking about the true issues in sports. Find out more about him at Altus Internet. A few years ago – long before I joined with Terry to form TVFury – during a live blog conducted during a horrifically lopsided women’s basketball game we attended in Newark, N.J., Terry quipped that I was the last NBA fan in the country. That comment came after I remarked on an NBA game from the night before and Terry looked at me with a mixture of horror, disdain and pity. Terry’s come around a bit. He enjoyed last year’s playoffs, which were filled with buzzer-beaters and saw young teams like Oklahoma City, Memphis and Chicago make runs while the Heat made enemies of everyone. But plenty of people actually are anti-NBA and not simply NBA apathetic, as Terry was when he blogged about my love for the league from a tiny, empty gym in New Jersey. What am I thankful for? That Thanksgiving is over. Not to sound like a Scrooge or anything, but it’s sort of an overrated holiday – especially the food. If I could choose any food on which to center a feast, turkey – even the fried kind – would be no higher than eighth. Plus, I’m bitter that my attempts to start a new holiday joke – pretending to confuse tryptophan (the stuff in turkey that makes you sleepy) with propofol (the sleeping drug linked to Michael Jackson’s death) – were rebuffed. Come on, man! * No, I did not partake in any early morning shopping on this blackest of Fridays. But I thought about it. Why? Because the madness started at midnight this year, and I’m usually awake then, anyway. In fact, that’s when I do most of my grocery shopping. It’s not as terrible as you might think, although there are usually a few assorted characters either shopping or working at those times. In case you do plan to partake, here’s Yahoo’s list of the best deals of the day. 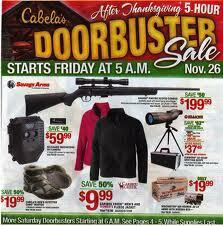 Nothing says Merry Christmas like running over chumps at 5 a.m. to buy a new gun. * The story of former Penn State defensive coordinator Jerry Sandusky continues to grow more sordid as new allegations have come out. There’s so much coverage that it’s hard to sift through. So let me help: This timeline – yes, timeline – offers new insight and helps organize some of what has gone on in chronological order. It’s an effective use of non-linear journalism. Plus, it proves that I do occasionally read stories that are more than 15 inches long and devoid of drawings. * And now let’s restore some normalcy by linking to a bit about Kelly Osbourne throwing a raging birthday party – replete with unicorn – for her new BFF and fellow second-generation star Hannah Montana Miley Cyrus. I hope – nay, demand – my daughters grow up to be just like them. * Fury here. If you missed Patrick Reusse’s annual, beloved Turkey of the Year column, here you go. I’ll admit, the inclusion of a certain football coach at St. John’s stung. The winner’s a bit of an upset. * New York Magazine put together a couple of insane packages on Saturday Night Live. They watched every episode since 1975 – 7,798 sketches – for a research project that took more than a year. They figured out the 25 most repeated characters on the show and present it in slideshow form. The magazine also tried figuring out the most original season. In other words, when did they rely the least on recurring characters. Here’s the PDF with the results. * I’m going to share perhaps my favorite YouTube video of all time, which just happens to also be a piece of Lakers propaganda. This is a mix put together by a guy who goes by the moniker nonplayerzealot. He’s a Lakers fan I’ve emailed with occasionally and he has an amazing collection of old Lakers games. He took those, sifted through them, and edited the following video, which is the definitive Magic Johnson mix on the Internet (that praise can be on the poster). And it all has the original broadcasts from Chick Hearn. For too long, fans of 1980s basketball have only been able to see the same Magic highlights we’ve seen so often through the years. Some of those are here – like the famous winning shots against the Celtics. But many of these have never been online before. It’s a long video. But it’s 15 minutes of basketball perfection, especially the first eight or nine minutes, which include his best passes. As a kid, we always had Thanksgiving out at my grandpa’s farm. We made the two-hour drive on Wednesday night so my mom could rise early the next day to start the cooking. Thanksgiving was about family, eating and three football games. I was a diehard Cowboys fan growing up and I counted down the minutes until Dallas kicked off in the second game of the day. We usually ate around halftime of the first game – no one was ever upset that the feast pulled us away from the Lions and whichever team was in the process of pounding them in the Silverdome. The third game of the day? The two-on-two football game out in the yard in the late afternoon. I teamed up with my uncle Jerry against his two older brothers – my dad and uncle Mike. We had youth and fresher legs, they had experience and no desire to lose to a little brother or a son, not even if it would boost our self-confidence. I think they had the benefit of the calls, too. We won some, they won some, I remember us winning more, but that might not be right. Those games remain etched in my memory, played in front of grandpa, cousins and moms. But so do the ones played by the pros earlier in the day, whether it’s Chicago’s famous kickoff return for a touchdown in overtime against the Lions in 1980 or the various times the Vikings dismantled the Cowboys. Here, then, a look back at some of the more famous moments from those Thanksgiving games – the ones played by the pros. According to a recent tweet by CNBC sports business reporter Darren Rovell, one of the best follows on Twitter, Americans will spend more money on energy drinks than bottled water for the first time in 2012. You could practically hear the eyes rolling over this development, doctors, health nuts and general haters scoffing at the notion that our nation has gone so far astray in terms of its beverage preferences. If this shift indeed is a problem, then I’m a part of it. I’ve had roughly two energy drinks today and there’s another dozen – an assortment of Red Bull, Monster, Rockstar, NOS, Venom and the locally grown Shogun – in my fridge just waiting to be hammered. But before you judge me, take note of what I am not: a meth addict, morbidly obese, an action-sports star, a Jersey Shore cast member or Paris Hilton. Did I miss any other stereotypes of energy drinkers? There are college towns and then there are college towns. Athens, Ga., is the latter. What I mean is that the college – the University of Georgia – was founded before the town in 1785, making it the oldest public university in the U.S. and A. (Pipe down, North Carolina – facts are facts.) Plus, it’s outstanding by college-town standards – even Southern college-town standards. I went there recently on business and fell in love. Actually, it might have been lust. No matter, it proved to an excellent place to spend 48 hours. * The campus has character. There are all sorts of trees turning all sorts of colors this time of year, and they dot hills and winding roads. Even the football stadium has foliage in the form of hedges around the field. Frat row is a site to see, made up of massive, pillared plantation-style houses, including one boasting a spray-painted sign reading, “Dawgs, yall.” Disclaimer: I’m hoping those weren’t actual plantations. Regardless, they convey the area’s deep history – both good and bad. That’s real if less than ideal. The ever-erratic Tapes are back. Lately, they’ve been taking one, two weeks off at a time – that’s hard to do when you only have to show to work once a week. We’re not sure if they’ve slipped into diva mode or are developing a drinking problem. Either way, we’re concerned. Might be time for a come-to-Jesus meeting. * Is it weird to think that George Clooney seems like a pretty cool, smart and funny guy in a completely unironic way? Because I do. And this week, he gained more cred by going public with his latest younger lady de jour, Stacy Keibler. Little-known fact: I once worked out next to Ms. Keibler. She was in Fargo for a stop with the WWE, and wound up at my gym along with some male wrestlers. Don’t ask me their names. Needless to say, they stood out from the crowd and made me – and probably others – start acting weird. I was suddenly more aware of the weight (or lack thereof) and reps I was doing. I found myself paying attention to where I went in the room, trying not to be too close or too far away from the Keibler and Co.
Why so self-conscious? I have no idea; it was totally nonsensical and indefensible. But it was interesting. * Remember a while back when we featured Soulcrate Music on our podcast? Well, the Sioux Falls-based rap crew is about to celebrate its 10th anniversary with pair of shows at the Orpheum. Tickets go on sale today. At the very least, you should download a newly released remix, a collaboration with Seattle producer Budo. It’s free. At this point, I’m planning on being there, although not without trepidation. I haven’t been to a rap show since seeing Snoop Dogg at the Fargo Civic Center circa 2001. Had a blast. And I genuinely dig Soulcrate. But I’m not sure if I’ll end up being the weird old guy at the show – and should I take my wife or go with some Guy Dudebro. Looks like there is a theme developing today – I’m thinking way too much about outside perceptions. Good grief, man. Related note, it’s weird and cool that rappers are in position to be around and relevant for a decades. Makes me think that those of us who enjoy the genre are likely to continue listening to it beyond our prime years. I wasn’t always sure about that, sort of wondering if I’d end up listening to Bobby Vee or something like my parents do, if everyone’s “oldies” would for some reason be the music from the 1950s. * So the Green Bay Packers are 9-0 and have won 15 games in a row going back to last season after a 45-7 win over the rival Vikings on Monday. And what was the water cooler talk coming out of that lopsided contest? The man crush that the ESPN announcers have on Packers QB Aaron Rodgers. There’s no question it gets old, and I sort of expected more from Jon Gruden given the acerbic style he displayed as NFL coach. When did Chucky get so soft? I’m not saying be mean or negative just for the sake of it, but how about at least being a little more critical or analytical instead of just lathering on the praise. Also, it’s unfortunate that Rodgers has and will continue to face backlash from this. He has no control over what people say about him and, aside from that whole championship-belt celebration that inevitably rubs some folks the wrong way, seems to have handled the Brett Favre debacle and winning a Super Bowl about as well as possible. In February, hopefully about two days before a major storm dumps 16 inches of snow on New York City and sends temperatures plummeting to -5, I’ll fly to sunny Cape Town, South Africa for a two-week stay with my wife’s family. Louise will fly there three weeks ahead of me, giving her five weeks with the family she left 12 years ago, on a trip to the United States she figured would last maybe a year. Matt's stands on its side - amazing. This week, I wound up embroiled in a stuffed-burger controversy. Embroiled. As in broiled, a method of cooking. See what I did there? 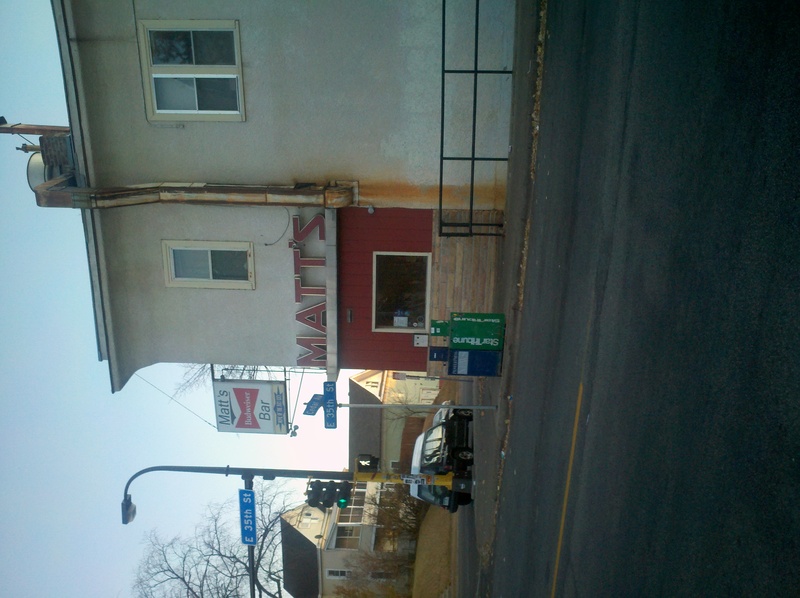 Anyway, two establishments in the same southern section of Minneapolis – Matt’s Bar and 5-8 Club – both claim to have invented the Juicy Lucy or the Jucy Lucy, a hamburger with cheese on the inside. Notice the difference in spelling? That’s right – they can’t even agree on that. (Apparently, they’ve made up trash-talking shirts, too, their passive-aggressive, fashion-forward way of extending the battle.) They’re like the Hatfields and McCoys of ground beef. Oddly, I’d never tried either version in any of my maybe 100 trips to the Twin Cities. That drought ended Monday with a trip to Matt’s. Why Matt’s? Because my buddy used to live in that neighborhood and he suggested it. Simple as that. The rub is that some other friends went the opposite direction the day before, hitting up 5-8. So let’s get down to it: The Jucy Lucy was … good. Maybe even very good. But not life-changing or transcendent. Plan white bun. Pickles. Ketchup. And hamburger filled with scorching hot cheese. To me, that was more amazing than the flavor. What kind of cheese turns so liquid when melted? There wasn’t a hint of clumping or burning. And how does it stay contained in the meat without dripping out prematurely? Yes, in my weird opinion, the Jucy Lucy is a miracle of physics more than a culinary wonder. Maybe I chose the wrong restaurant – perhaps 5-8 Club really is superior in the way it wraps meat around (assorted) cheese(s). But people swear by them both, meaning it’s just as likely that the rival joints are essentially the same, the burger battle a draw. Two days later I was in Athens, Ga., a spectacular college town (more on that next week) that also boasts a locally acclaimed stuffer-burger joint. The point: The more cheese-injected, grilled meat the better. Let’s raise our burgers in a toast to Matt’s AND 5-8 Club. You came up with a delicious idea at roughly the same time (it’s not like you cured cancer) and we’re all better (if closer to dying) for it. Well done, er, medium well.